Sophomore guard Naje Murray sends a pass into the post during the Aztecs 62-49 loss to UNLV on Feb. 23 at Viejas Arena. 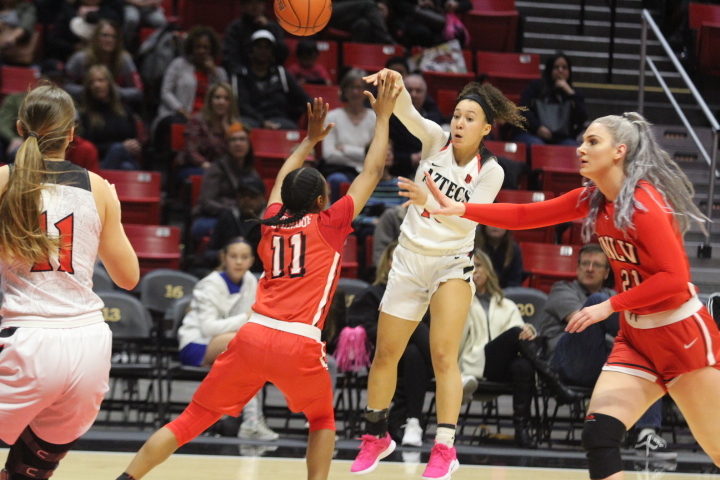 San Diego State women’s basketball reached a dead end on March 12 following a 75-70 overtime loss to Wyoming in the semifinal round of the Mountain West Tournament. 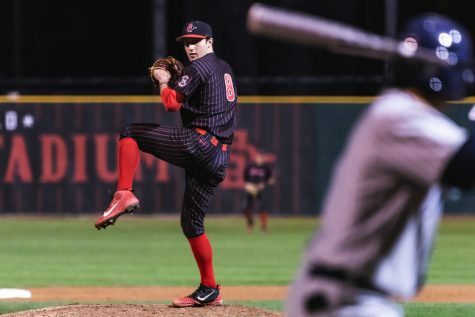 The Aztecs came in as the seventh-seed and defeated tenth-seeded Air Force in the quarterfinals to advance. 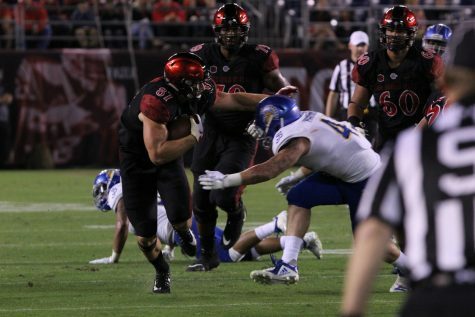 The following day, SDSU upset second-seeded New Mexico. 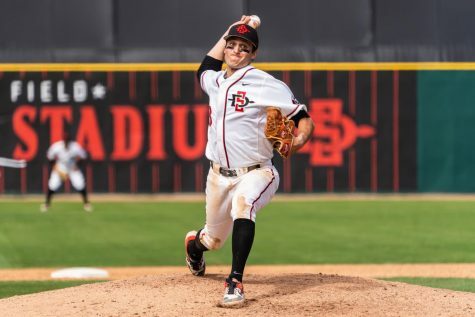 SDSU (14-18, 7-11 MW) had a rollercoaster of a season. Head coach Stacie Terry started four underclassmen. In the beginning of the year, Terry said she was unsure what the season was going to bring. Well, the year took them one game shy of the MW Championship. Freshman guards Sophia Ramos and Mallory Adams made their marks in their rookie seasons. Ramos was the leading scorer with an average of 14 points, adding four assists and four rebounds per contest. The 5-foot-9-inch guard was a major factor in SDSU’s success in the MW Tournament in Las Vegas. Ramos was named to the MW All-Tournament Team after forcing overtime against New Mexico on a drive to the basket and averaging 16.7 points per game in the tournament. She is the only freshman or underclassman on the list. Ramos said the accolade was a surprise to her. 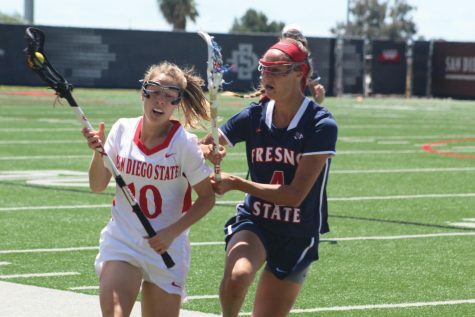 Her freshman partner-in-crime, Adams, led SDSU in rebounds and averaged 12 points and nine rebounds per game. The young duo was named to the Mountain West All-Freshman team. The other two major assets to the team are sophomore guards Najé Murray and Téa Adams. Though just a year of experience under their belts, Murray and Téa Adams had to take on leadership roles early on. Murray’s focus all season was to prove that there’s more to her than scoring. 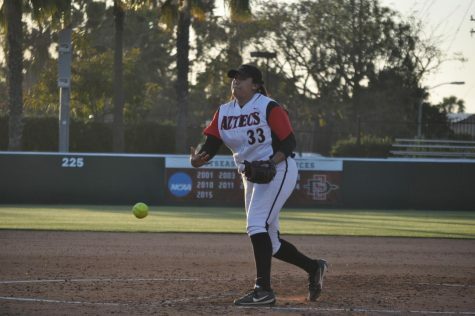 The Stockton native led the Aztecs with 1.9 steals per game. But her scoring did not wither as Murray broke a shooting record. She now holds the record for most 3-pointers in a season with 79. 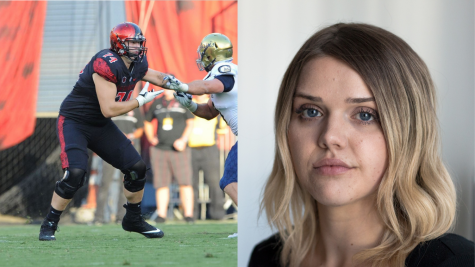 Redshirt junior center Zayn Dornstauder made herself known towards the end of the season. Halfway into the season, the 6-foot-3-inch center said she was aiming to be more aggressive. Dornstauder finished with three double-doubles, one which came during the semifinal matchup against Wyoming in the MW Tournament. Against the Cowgirls, she finished with 12 points and 10 rebounds. Dornstauder said her recent success has proved her capability. Junior forward Baylee Vanderdoes also became a threat late in the season. She had 37 rebounds in her last five games of the season. Ramos said the variety of bigs the Aztecs have is what makes the team special. Team chemistry seemed to be extremely important this season. The Aztecs took a trip to Big Bear Lake in hopes of connecting with one another before the season started. “It was three days getting off our phones, spending time with each other, all of us in the same room. 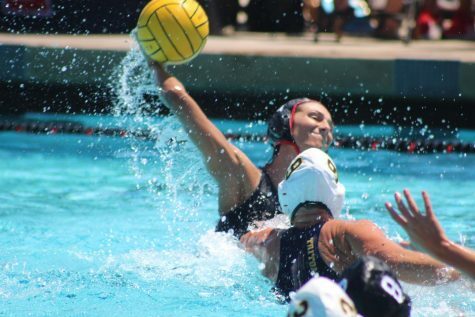 We had no choice but to talk to each other,” senior forward Arantxa Gómez Ferrer said. 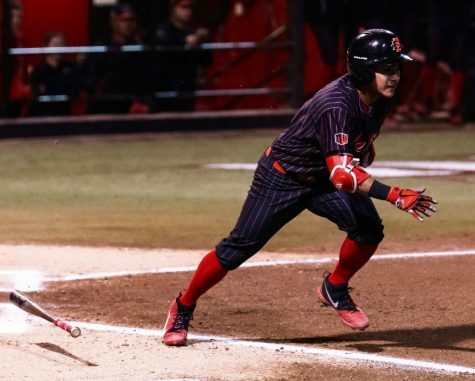 Six months later, on senior night, Gomez Ferrer said her team was her favorite thing at SDSU. Dornstauder said the team is prepared for next season. Editor’s note: This article was updated at 10:16 p.m. on March 21.